You can also tie him in knots! Super Strong! Super Stretchy! Stretch Armstrong can stretch over 5 X his original size! 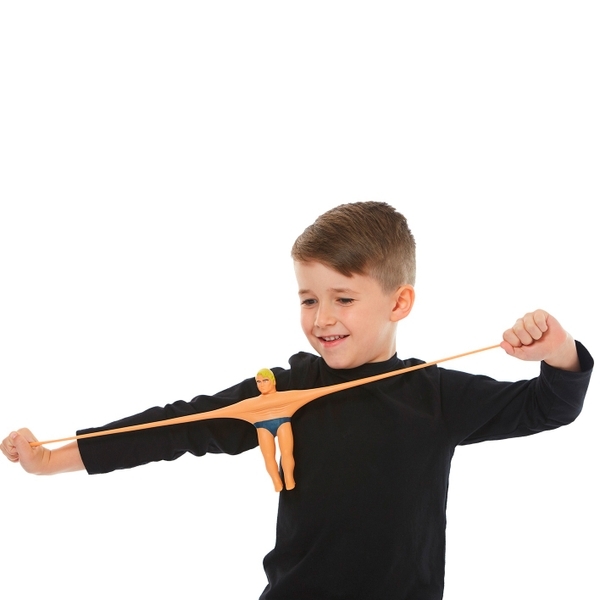 Grab hold and stretch the 18cm stretchable action figure’s arms, legs and torso. Release and Stretch retracts back to his normal size and shape. You can also tie him in knots!